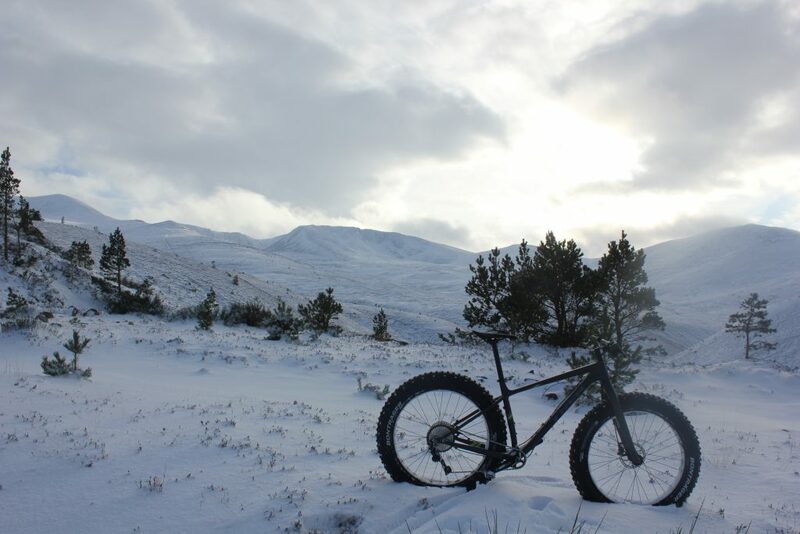 Winter in the Highlands of Scotland can be a tough time, long dark evenings, cold days and snow covering the cycling tracks. 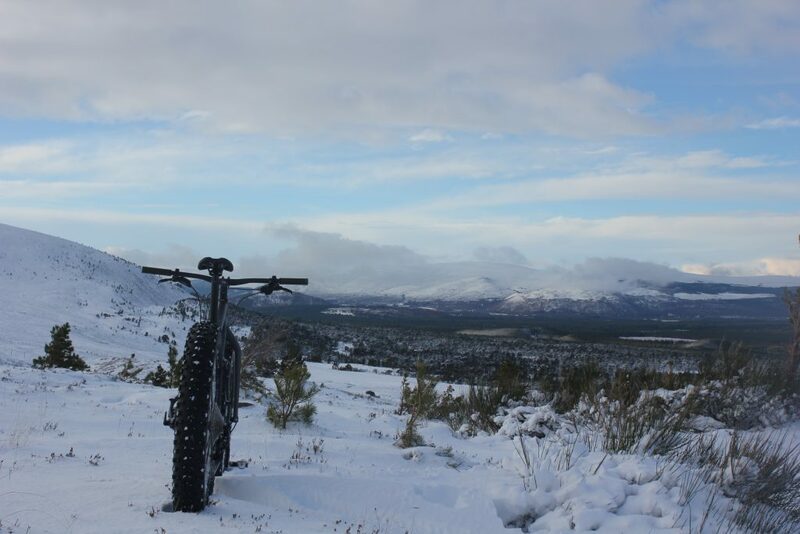 It’s a bit to easy to sit on front of the fire every night eating chocolate and getting fat but what you could do is let your bike tyres get FAT and get out in the snow on a FAT BIKE! 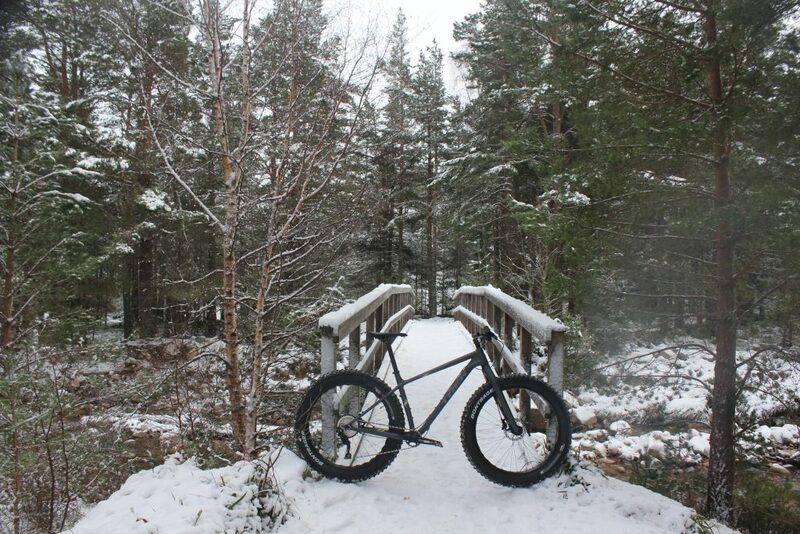 We recently had our first dump of snow down in the village here in Aviemore and I thought that would be the ideal opportunity to test out our 2019 Trek Farley Fat Bike! Aside from a few spins around the shop car park this was going to be my first time going on an actual ride in actual snow on a fat bike. 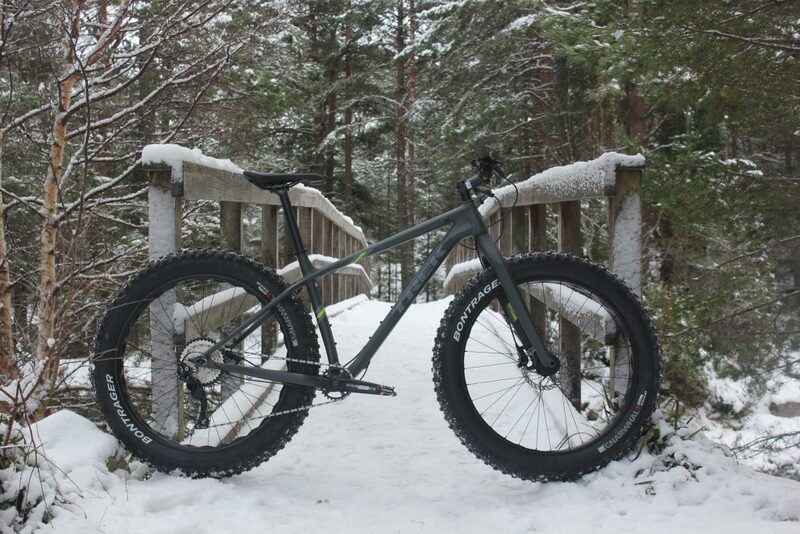 So what is this ‘Fat Bike’? We have the Trek Farley 5 model for demonstration, out of the box the first thing you notice is the huuuuuuuge tyres! It comes equipped with 27.5” x 4.5” Bontrager Gnarwhal Tyres (a normal bike would have 27.5” x 2.3” tyres!) this width of tyres is ideal for playing in snow or on beaches. The wide tyre cuts through soft surfaces with ease unlike a regular bike. The brakes and gears on the bike are exactly what you would find on a standard bike, the model we have on demo is equipped with a reliable Shimano Deore Rear Mechanisim and powerful SRAM Level Hydraulic Brakes. I’m known in the shop for my ‘scrappy’ gear shifting and don’t get on too well with SRAM gears, so I was really pleased to see the Shimano 10 Gearset on this bike, it simply just works well, feels really smooth and you hardly hear it change gears! Ideal if you are looking to go on remote tours on this bike, as you want piece of mind that the bike will last the pace. 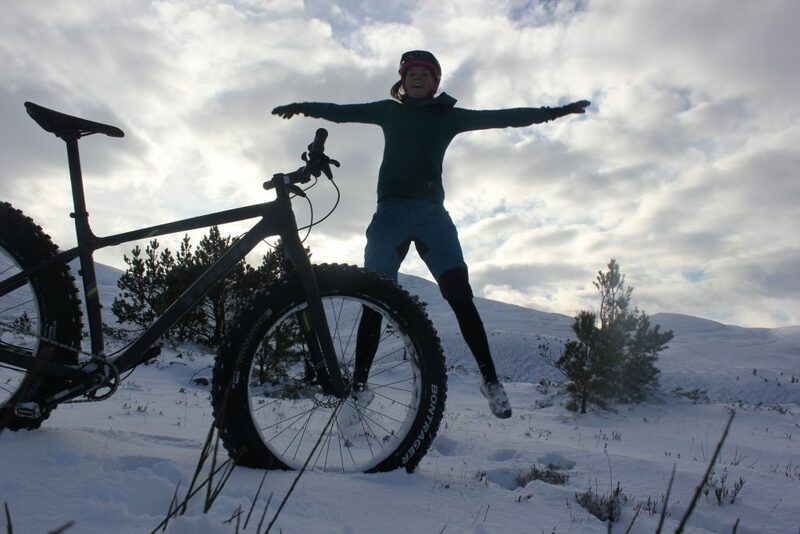 Anyway enough of that technical rubbish, to put it simply the fat bike is based on a normal hardtail mountain bike but with massive tyres! Where did I take it? I wanted to find ‘real’ snow and by that I meant deep, fluffy snow that hadn’t been packed down into ice. I jumped in my van and drove up to Glenmore. First up I headed along the Alt Mor Trail, in normal conditions this is a mixture of singletrack, walkers path and some rocks. I was instantly ‘wowed’ by the Farley! It cruised though the deep powder snow that was covering the singletrack sections making fresh tracks, I felt like I was in a movie! 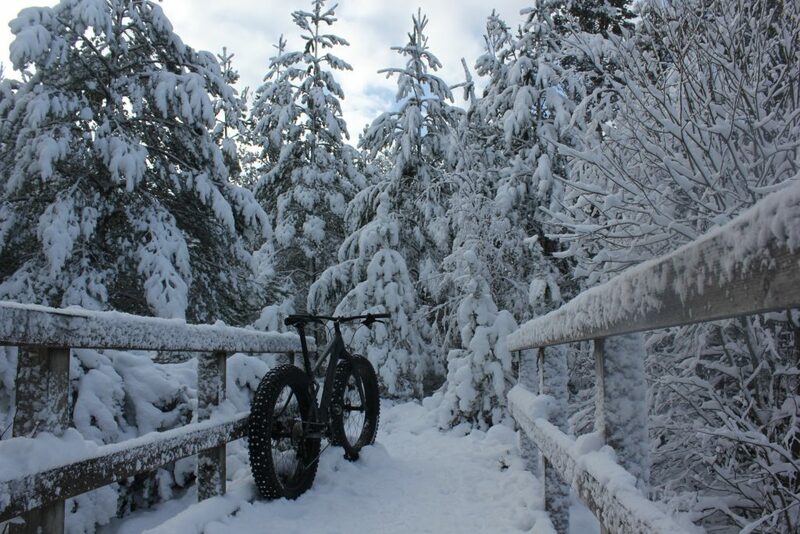 On a normal bike you would have been wheel spinning and cursing getting stuck in the snow, I was amazed I was riding along just as if I was on a normal bike on a normal trail! But I will tell the truth as I got closer to the Cairngorm Car Park at the top of the Alt Mor Trail I did have to walk a bit, either the snow was too thick or my fitness let me down. 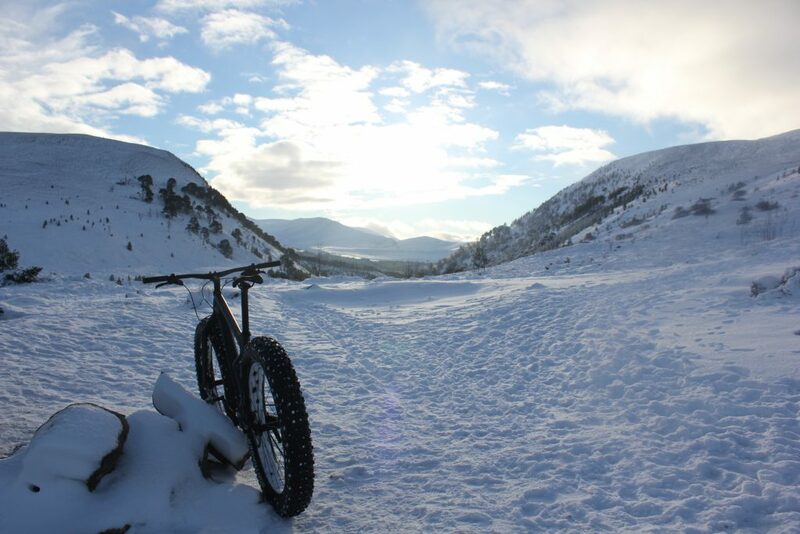 I was definitely blaming the snow 😉 But it was worth it for this fantastic view…. Going down the fun went up another notch, I cruised down the singletrack, down the wooden steps and over some rocky bits with ease! The Farley felt extremely well balanced and easy to manoeuvre, it didn’t feel cumbersome or heavy at any point. I would be lying if I said I wasn’t grinning for the whole descent! It just felt so great to get out on the trails and have some fun, something that has been missing slogging about on my normal bike in the snow and ice. After the Alt Mor Trail I really didn’t want to head back to the van so I continued along the paths in Glenmore to the Ryvoan Bothy and Green Loch. Again the bike continued to surprise me, on the harder packed snow it flew along and accelerated really fast underneath me. 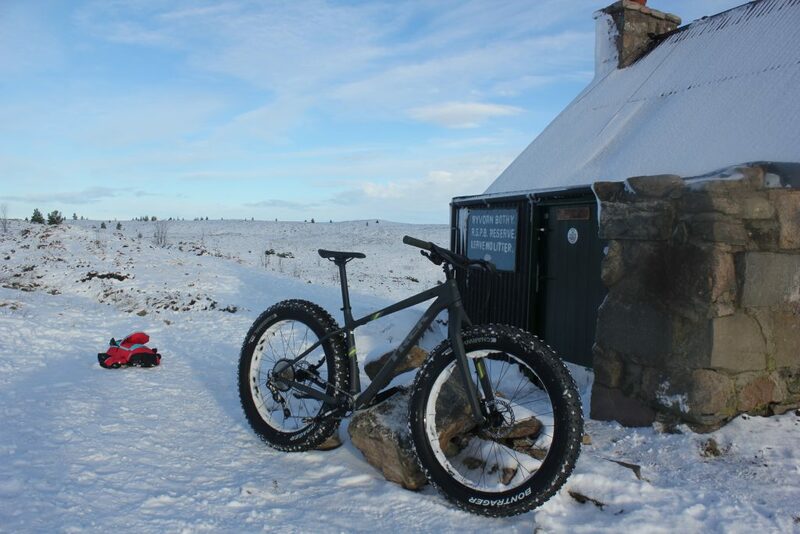 I was interested to see how it performed on the rocky section just before Ryvoan Bothy, I was fully prepared to jump off and push as I was on a rigid bike and I’m used to a full suspension 29er! But again the Farley just flew up and over the rocks, you would have had no idea they were there! 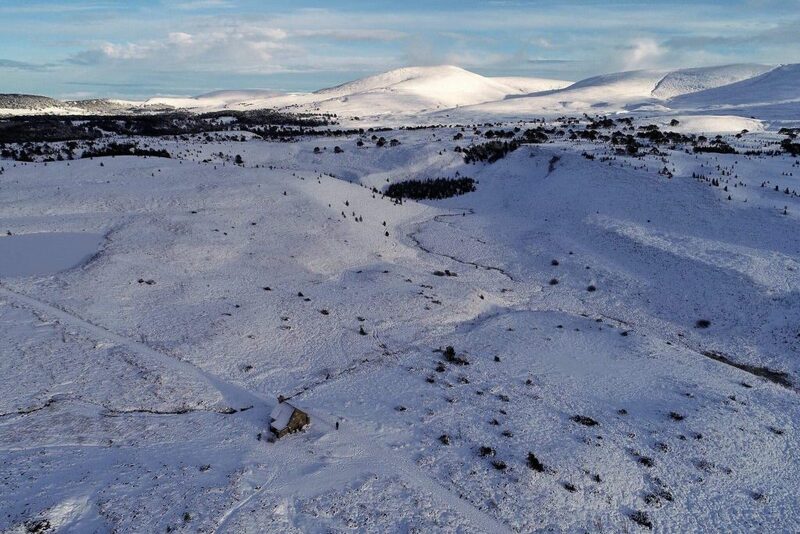 I was lucky enough to bump into some folks with a drone up at Ryvoan who sent over these fantastic shots of the valley, you can see the Farley in the corner by the Bothy! So in short, I was really impressed by the Farley, I even went out the next day on it for a blast along the Speyside Way. It was great to find something that allowed me to ride my bike in the usually ‘un-bikeable’ weather, I got to see some stunning views and not sit on a Turbo Trainer! The bike was faster and lighter than I expected, so if you’re thinking about that additional bike for your shed then a Farley would be an ideal way to finish off your collection and have some fun!